As the name implies, only by Titans working together can we build and sustain the welcoming and supportive environment we all seek. This work is in direct support of Goal Three of the University's strategic plan: Recruit and retain a high-quality and diverse faculty and staff. This Titans Together website is an outgrowth of that goal — a hub of background information, updates, and resources as we progress on this journey. This site is the culmination of work that first began with a campus climate survey in 2014. 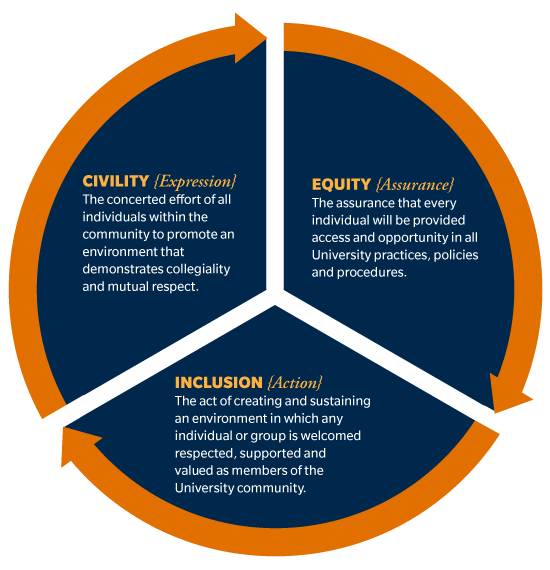 As results of that survey were assessed, a framework of Equity, Inclusion, and Civility emerged to guide a further campuswide exploration of our environment out of which specific strategic action can be taken.